As the week starts the crescent Moon is growing from the New Moon in Pisces a few days ago. What truth came to light for you at the time of the New Moon Solar Eclipse? Last night the Moon was enjoying the company of Venus in Taurus and such a truly majestic sight to see. The New Moon in Pisces set the stage for the seeds we can continue to plant as we reach towards the Full Moon in Libra on April 4th. What’s really important is that as we continue to move along our personal paths that truth, justice and ethical behavior is of prime importance. That is the main, underlying theme we are working towards over the next couple of weeks. By being in tune with the truth we are tuning into the cosmos. We should notice more synchronicity in our lives, directing us towards living more in balance with ourselves, others and the universe. But it’s also about finding our own balance, being fair with ourselves and being fair with others. Where you may have come to a realization where you may not have been receiving fairness, or where you may be receiving the short end of the stick, this is now time to correct it. It’s time to work towards doing what is right for you so you can enjoy your life in harmony with what is right, what is ethical and what is true. It’s time to remind yourself that the law of karma can not be fooled. Higher laws of the universe always know and will find a way to balance out eventually. If you’ve been lying to yourself or to others, or if you’ve been fooled or you’re the one doing the fooling, there will come a time when karma finds its balance. This is time to decide who you are and to be honest, to be real and to be authentic. When truth is honored, harmony will prevail. Transcend ego and desires that lead you away from equality, fairness and honesty and balance will create harmony. The Moon is the main mover this week reaching out to many planets on her journey around the zodiac from Taurus as the week begins, to Leo at the end of the week. Getting down to earth will help give you a solid foundation at the start of the week. Venus in Taurus reaches out to Neptune in Pisces on Tuesday this week. The arts will be particularly inspiring. Take some time to browse the web for art, jewelry, beautiful designs and natural settings to get your imagination going. A collage or vision board of things you want and love will bring creativity out in the open. Delectable foods should taste extra delightful now. Those of you that know you deserve to receive will be more open to possibilities this week. Explore your options. The Sun and Saturn connect nicely on Wednesday. This is a great time to move forward with new initiatives that make common sense. With determination to move forward and grow you will be able to come up with very wise ideas. Follow your heart and take advantage of new opportunities that start you in a new direction that you are willing to put the effort into to make it happen. What are your ambitions? On Thursday, Venus and Jupiter are connecting. This can signify that eating, drinking or consuming all the delights the world has to offer in search of pleasure, gives you a wake up call. You may feel like your waste, belly or thighs are expanding in association with your pleasure seeking tastebuds. It’s also important to be considerate of your heart. We know what too much fatty foods can do. For this reason, Thursday could be the day where many say enough is enough, it’s time to eat healthy foods. They too can be delicious. It’s all about the art of preparation. Cooking is an art. In the same way this can point to your bank account too. Have you been spending too much on the little luxuries of life? You’ll find out when you take a look at your bank statement or credit card bill. It could be time to reel it in, whatever you’ve been getting carried away with. With the Moon in Cancer on Wednesday and Thursday, the considerations above could be sensitive issues. Be careful you aren’t emotionally eating. The temptations are there. This week it really is the feminine qualities that are at the forefront. Nurturance, compassion, understanding, intuition, the desire to receive, and love particularly stand out in our day to day interactions more this week. At the end of the week, the Moon enters Leo. This would be such a great time to feel connected to your heart, your core, your center. Choosing to let your heart to lead the way will bring you closer to that harmony we are all working towards. Live in tune with the truth of who you really are, not what your head says, but what your heart does. Recent Cosmic News: You may have heard a couple of years ago that CERN discovered that the Higgs Boson subatomic particle, what the media has called "The God Particle," exists. What's quite interesting in recent news is that today (March 23) the Large Hadron Collider (LHC) at CERN is starting to attempt to access parallel universes by creating mini black holes where gravity from our universe may enter another universe and vice versa. I personally think this is risky and a little bit crazy, as does Stephen Hawking among other scientists. Prior to turning the LHC back on recently for this scientific test, a short cinematic film called Symmetry was created at CERN. I mention this, not only because this is happening as this week begins, but because it speaks to the theme of balance (parallel) we are moving towards with the upcoming Full Moon in Libra, as well while we are between eclipses. Would you like a Personalized Reading? Aries: You are the great beginner. There is always something new to start. The Sun is now in your sign and your birthday time is yours to celebrate. This could be one of the most interesting times of your career or goal seeking opportunities in life. The good karma you’ve sown is your to reap. Keep planting the metaphorical seeds in your life this week. You’re going to grow a lot. Time is on your side as you work your way towards living true to your purpose. Put your energy towards having fun and laughter this week and feel good about the possibilities you can create. 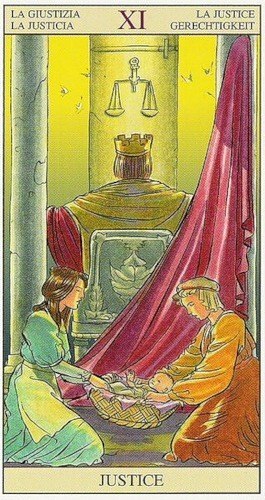 Taurus: You are the great builder. You can help anyone build their dreams with hard work, including your own. What are your dreams? What do you want? It’s time for you to start putting more energy into you. That’s where you will find the greatest, most honest rewards. You deserve it. Venus in your sign, speaks so highly to self worth. It’s time for you to be true to you and value yourself more. Love yourself more by recognizing your worth. You’re gearing up for a great transformation that’s coming next week. Gemini: You could get caught up in other people’s drama. You are the sign that most loves to gossip after all. You love to know what is going on, who said what and what they really mean, but sometimes you have to turn off the communications so you can tune into yourself and honor your needs. Tuesday is the power day for you to start to realize what’s more important for you. From there you can start to focus more on treating yourself well. That may mean turning off the computer, the phone, and any gateways of communication that distract you from nurturing your well being. Cancer: The love of friends and colleagues is an important part of life. Those bonds are what grounds you and helps you to feel connected. As the week begins share your heart with your best friends and those who you see as a part of your future. Thursday and Friday will feel personal, maybe even emotional, but most of all you should feel like the real you again. With the Sun in your career sector, it’s a great time to shed light on the goals you want to work towards. New ideas that spring forward from your core can help you ascend the ladder. Leo: Do you love your career? Do you feel like you’re attracting the right experiences that help you feel stable, secure, prosperous and blessed? This week take a look at what you value and honestly ask yourself if you’re living up to your potential. The purpose of your life is getting lit up now. It’s a great week for you to considering traveling too. Do not put limits on how far you can go. An educational setting, such as a university can offer you wisdom. Be willing to learn from all types of people this week, especially those of foreign origin. Eating at an exotic or ethnic foods restaurant will inspire you and expand your horizons. Virgo: It’s a great week to talk to your partner, or anyone you hold a partnership with, whether it be romantic, business or platonic. There is much you can learn from the imagination of others. Others can present you with fantastic ideas. See the magic in your relationships and you will start to recognize how synchronicity plays its role in the bond. Dreams, arts, creative ideas and psychic concepts can draw your attention and teach you how to live more in tune with loving life. Libra: Who you are becoming is someone that can relate to others as well as see yourself in others more clearly. There are new opportunities that others can bring to your attention. You are building towards a moment of self awareness. This week, look at your financial resources more closely. How do they support what you envision for yourself or where are they lacking? Two heads are better than one. The vision you hold for your future needs you to do the work and get your finances in order so you can truly feel more secure. Good times are a reward once you set the stage for a more stable future. Scorpio: The week starts off with relationships in focus for you. Although romance is definitely possible, you should also consider what your relationships with co-workers or those in your career are like. Solid relationships are important. Be sure that good times and fun don’t get out of hand this week as it could change the dynamic of those you are connected with. Take some time to daydream this week. Your ideas will transform quickly. Write down the ones that feel like they have gravity. Your psychic perceptions will be tuned in this week. Concepts in fantasy films will be a lot of fun to explore and add to your collection of interesting ideas. Sagittarius: Checking out the movie theater this week, or other, new forms of entertainment could give you a much different perspective of yourself. Where there is fun, be there. It will lift your mood and give you warmth and inspiration. The more love you put into your work, hobbies and daily routine this week, the more blessed you’ll feel. What do you find pleasure doing? The purpose of life is complex. Moving away from pain and towards pleasure is a common desire for us all. Find ways to organize your life this week so you can ensure more pleasure is found in your daily lifestyle routines and you’ll learn a lot about life. Capricorn: You have the benefit of moving closer to your element this week. Get some plants and flowers that speak to you. It can be a lot of fun bringing more beauty into your life. Dressing up in creative ways will also help you feel connected to your body. You should do things that make you feel good about yourself. Open your windows and enjoy the sunshine. The yoga practice of salutations to the sun will get you connected, and if your family is into practicing with you, all the better. Seeing the light in those close to you will strengthen bonds. Namaste. Aquarius: As we work towards honoring the truth, the light bulb will turn on and get brighter. When you communicate honestly and in new ways you are heard. It’s a great week to address karmic issues and to go within to remove obstacles. Honoring those close to you, family and extended family, with love is appreciated. It is the love in your relationships that matter most. Financial matters and abundance regarding family and loved ones can teach you how to let your light shine from the heart more authentically. What does prosperity really mean to you and those you relate to? Pisces: How you think about yourself matters a lot. Life can feel like a fantasy, but logic is always a part of the package too. Affirmations about who you are can get your mind working in harmony where left and right brain connect more easily. What you think so shall you become. Communicating loving thoughts to yourself and others gets the ball rolling in the right direction. In career matters and ambitions you will feel more secure if you let your brighter core beliefs guide you to wash away your doubts. Working on new, inspiring ideas activates your entrepreneurial, pioneering spirit.